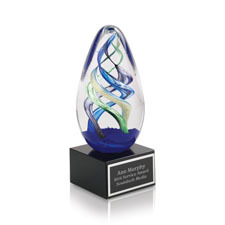 Present this glass recognition award to a special employee when simple acknowledgement isn’t enough. 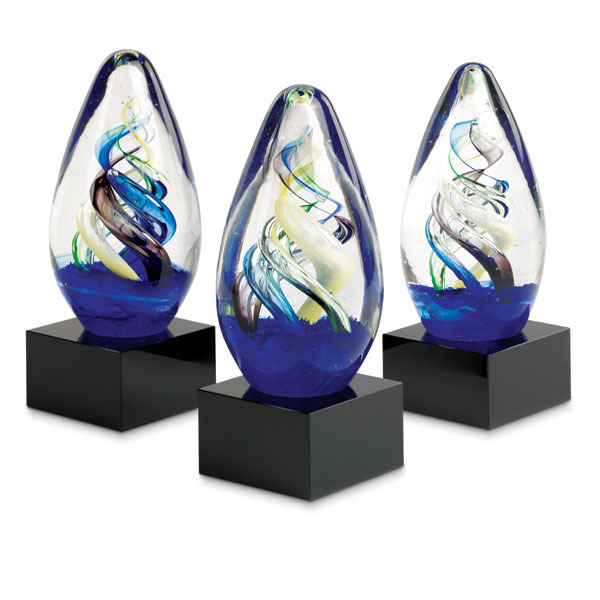 Multicolored spires twirling upward inside an exotic glass sculpture help convey your appreciation. 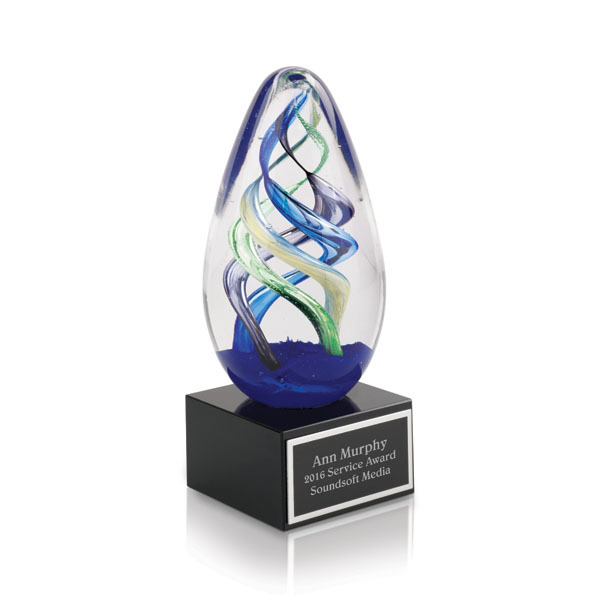 Personalized engraving makes this employee recognition award even more special. Finding custom-engraved awards with more impact is truly difficult. Glass art pieces are one of a kind. No two pieces are the same. Swirl pattern and size will vary.